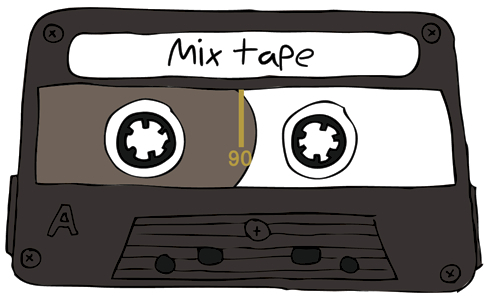 The Mixes is a Bonus Cut series that focuses on themed mixtapes. The purpose of this series is to share music in hip-hop, but also to share the ability to express feelings through mixtapes. The premise takes after Rob Sheffield’s book Love is a Mix Tape, but unlike his book, these mixes will vary in theme. Although I will have notes explaining why I included each song, the overall interpretation of the songs and the mixtape as a whole is on you. Music is fickle because it triggers different emotions, and one of the greatest feelings is determining your thoughts for specific music on your own. Although Bonus Cut provides The Starting Five, a weekly list of songs the creators are currently digging, The Mixes is an individual entity because of its focus on certain themes. The theme behind this first installment is simple, in that all this mixtape focuses on is newly released cuts. However, delving beyond this, the reoccurring theme is that there’s new music being released every day and some people don’t get a chance to listen because of missed opportunities or a lack of the songs output. This mix will feature recently released songs from both popular and underground artists, and although there’s no concept except the fact that these are all new, it should be noted that all of these artists are worthy no matter where we are in time. For years Reks has made a name for himself in the Boston underground hip-hop scene with his conscious themed songs and raw delivery. His upcoming record Revolution Cocktail (July 2nd) is bound to continue spraying his insightful thoughts, and “Flags” is just a snippet of what that might be. From the very get-go Reks slays the track over a rough and buzzy synth backdrop and ambient club-like synth pad. Discussing gang-violence and the glorification of capital, Reks has just about had it, and he certainly isn’t the only one. Listen to AZ on “We Movin'” and then go back to his 1995 classic Doe or Die and try to figure out the difference in his lyrical delivery and flow. You want the easy answer? There is no difference. AZ is an MC that has adjusted to the changing ways of hip-hop’s sound–just listen to the production on “We Movin'” and you’ll notice more glossy new age ripples–while at the same time sticking to his 90s roots with his rhyme scheme, cadence and song topics. These are the traits that make an MC timeless, and when considering some of the most influential artists of the last 20 years, AZ has to be on your list. Ugly Heroes is Apollo Brown, Red Pill and Verbal Kent, three artists from the midwest who give us music that tells the story of the hard-ridden working class of America. Ugly Heroes wouldn’t be a success strictly on this theme alone, and that’s why this project is so special. On the piano and horn-heavy track “Graves,” producer Apollo Brown makes the track breathe with an addicting beat that throws your ears on a blue collar musical conveyor belt, while Red Pill and Verbal Kent mix rhyme with reason, touching on subject matter that is rarely touched upon. Their self-titled LP dropped on Tuesday and has already climbed up to #17 on the hip-hop iTunes Top 100. Ah yes, where would we be without a Goodie Mob reunion? Moreover, where would we be without all of these Cee Lo-related projects coming up? With “Special Education,” Goodie Mob teams up with the ultra-talented hip-hop soul musician Janelle Monae to bring us a song about individuality and self-confidence. What may poke your ears prominently is the production, which ravages the listener with a heavily industrial backdrop full of pulsing bass throbs and distorted shrieks. During the chorus Monae graces us with a come-down of sorts over a twinkling beat before the Mob takes over with their rough plot line verses. “In a Minute” is a composition of MCs that are all familiar with each other and their place in hip-hop. Sir Michael Rocks (one half of The Cool Kids) teams up with up-and-coming Ab-Soul and Da$h over a Larry Fisherman (Mac Miller) produced beat. “In a Minute” isn’t much but a ganj-soaked song about inevitable youth action, but it’s an interesting look at some popular new-age MCs joining forces. Oscar O’Malley’s performance here is riveting in that every couple of bars you’ll hear him change his cadence. “Billy Butcher” almost seems like a poetic journey over instrumentals in the beginning until Oscar picks up his tempo along with the beat. Adding on to this, as the song progresses you’ll hear him slam detail from a relationship into bars relentlessly and then suddenly flow into a few sung lines. Oscar O’Malley’s versatility here is tremendously engrossing, and if you can’t strictly focus on his content, then focus on his delivery over this boisterous beat. “Dodging Dark Clouds” is just one of those songs that reminds you of life. MoRuf’s New Jersey flow reminisces on the everyday grind, college and James Blake, and the beat just flows under light-tapping piano keys and percussion chimes. The surprise comes at 2:15 when the beat plays backwards and MoRuf continues to spit. I wish he would release more material, because he’s one hell of an MC.